A very good self help read. Felt upclose and personal with Michelle Obama. 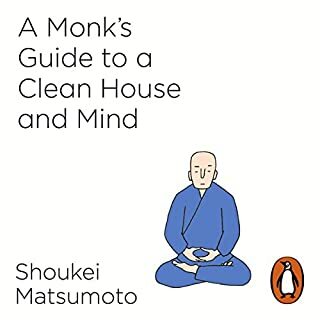 Penguin presents the audiobook edition of A Monk's Guide to a Clean House and Mind by Shoukei Matsumoto, read by Adam Sims. We remove dust to sweep away our worldly desires. We scrub dirt to free ourselves of attachments. We live simply and take time to contemplate the self, mindfully living each moment. It's not just monks that need to live this way. Everyone in today's busy world today needs it. One of the great, but often unmentioned, causes of both happiness and misery is the quality of our environment: the kind of walls, chairs, buildings, and streets we’re surrounded by. And yet a concern for architecture and design is too often described as frivolous, even self-indulgent. 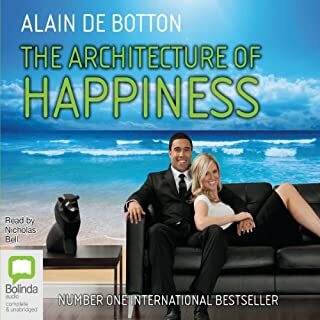 The Architecture of Happiness starts from the idea that where we are heavily influences who we can be - and argues that it is architecture’s task to stand as an eloquent reminder of our full potential. 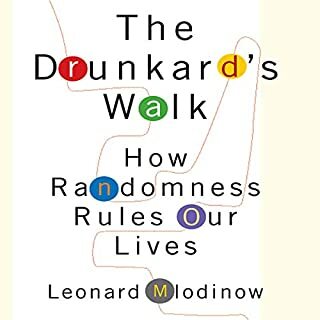 In this irreverent and illuminating audiobook, acclaimed writer and scientist Leonard Mlodinow shows us how randomness, chance, and probability reveal a tremendous amount about our daily lives, and how we misunderstand the significance of everything from a casual conversation to a major financial setback. 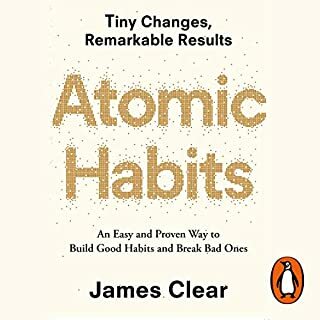 As a result, successes and failures in life are often attributed to clear and obvious causes, when in actuality they are more profoundly influenced by chance. For more than 25 years, Your Money or Your Life has been considered the go-to book for taking back your life by changing your relationship with money. 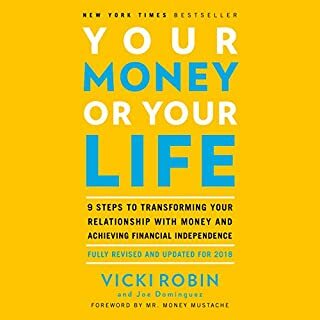 Hundreds of thousands of people have followed this nine-step program, learning to live more deliberately and meaningfully with Vicki Robin’s guidance. 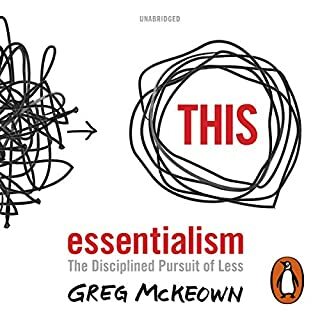 This fully revised and updated edition with a foreword by Mr. Money Mustache is the ultimate makeover of this best-selling classic, ensuring that its time-tested wisdom applies to people of all ages. 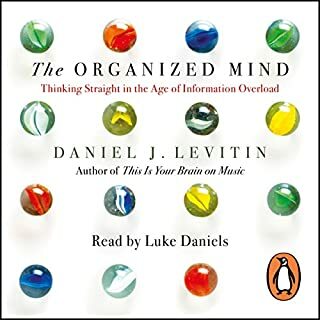 Penguin presents the unabridged, downloadable, audiobook edition of The Organized Mind by Daniel J. Levitin, read by Luke Daniels. Modern society is in a state of information overload. Neuroscientist Daniel J. Levitin investigates how and why our brains are struggling to keep up with the demands of the digital age. Why is email so addictive? Is multitasking really possible? And what do successful people keep in their junk drawers? While it is often said that a person with a negative attitude cannot be helped, it is also true that a person with a positive attitude cannot be stopped. Life is an obstacle course in which we can often become our own biggest obstacle, but a positive attitude can be transformational. 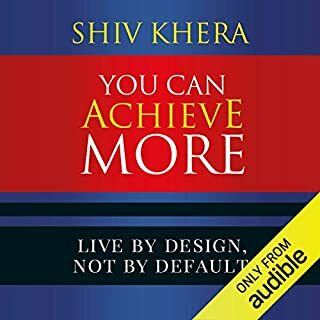 In one sense, this audiobook is a road map for a life journey in achieving more. It offers direction and can help you make positive decisions in a noisy and cluttered environment. Success is neither a miracle nor a mystery. It is the outcome of consistently applying certain principles on an ongoing basis. 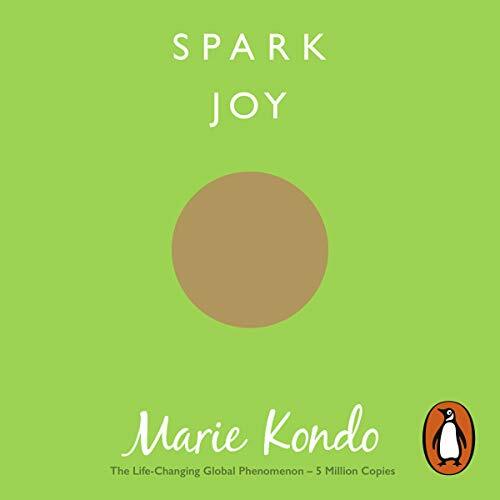 Random House presents the unabridged downloadable audiobook edition of Spark Joy by Marie Kondo, read by Sumalee Montano. Spark Joy is an in-depth, room-by-room guide to decluttering and organising your home. It covers every room in the house, from bedrooms and kitchens to bathrooms and living rooms, as well as a wide range of items in different categories, including clothes, photographs, paperwork, books, cutlery, cosmetics, shoes, bags, wallets and valuables. The secret to Marie Kondo's unique and simple KonMari tidying method is to focus on what you want to keep, not what you want to get rid of. Ask yourself if something 'sparks joy', and suddenly it becomes so much easier to understand if you really need it in your home and your life. When you surround yourself with things you love, you will find that your whole life begins to change. Marie Kondo's first book, The Life-Changing Magic of Tidying, presents her unique tidying philosophy and introduces listeners to the basics of her KonMari method. It has already transformed the homes and lives of millions of people around the world. Spark Joy is Marie Kondo's in-depth tidying masterclass, focusing on the detail of how to declutter and organise your home. 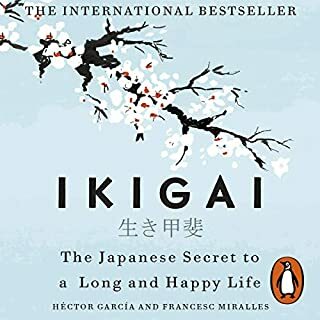 Read this before or after the other KonMari books and enjoy your joyous journey, through tidying, to the lifestyle you want. I enjoyed this, it's very much the same as the first book but with much more detail and more actionable. If you enjoyed the first one you will love this just as much. A great reference to listen to again and very easy to listen to. This was a relaxing experience to listen to. 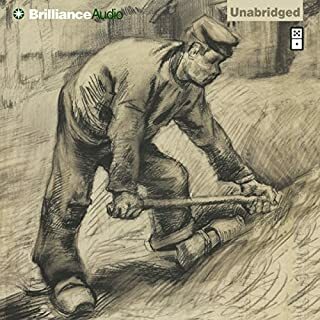 It's narrated very calmly and managed to not be too patronising (which many tidying books can be). I was surprised by how much I enjoyed listening to it and it has made me want to approach tidying from a category perspective rather than room by room. 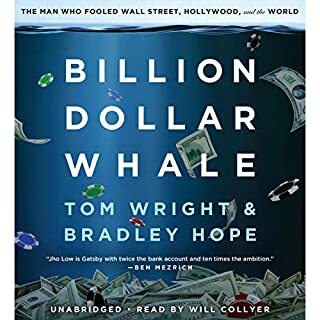 I have only recently tried audio books and I have to say I love them! It's so easy to listen during your commute or when doing daily chores around the house. 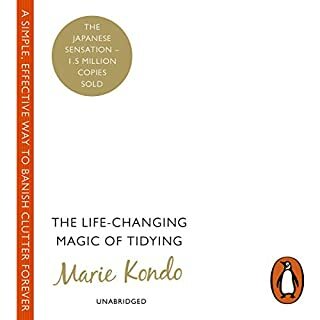 This book is very much a practical guide to accompany Marie Kondo's first book 'The Life Changing Magic of Tidying Up'. I found the book useful and will certainly go back to use it as a reference guide throughout my tidying journey but as it is a practical reference book, I found it a little long winded to listen to in certain parts as she describes exactly how to fold things etc. which is really much more of a visual thing but the accompanying PDF with the various diagrams was helpful in this regard. 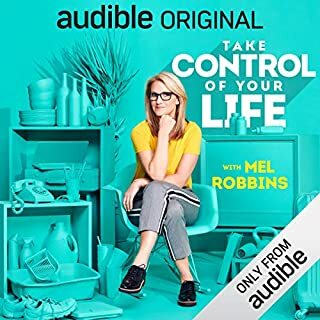 I was still able to picture everything she described in my mind as she spoke and really enjoyed part 3 of the book where she talks about life after tidying. 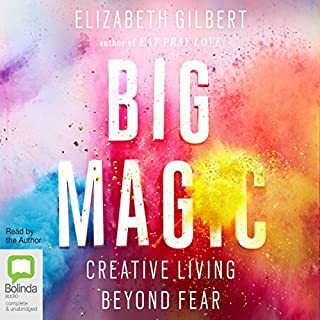 I would definitely recommend the book to anyone who has read Life Changing Magic and maybe going through the tidying process or wants to fine-tune things following their tidying event (in the storage/ organisation stage). Is very similar to the first book. 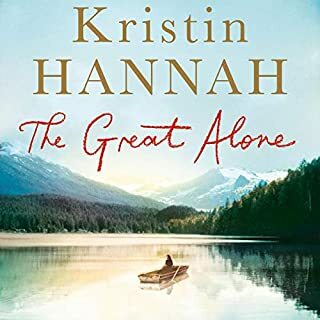 I struggled to finish it as I had the sensation of reading her first book again. This is not really a book about only decluttering, it’s more about finding joy in the things you do have and learning to treasure them and figuring out what those things are in your life - and not keeping the things that make you unhappy. A very simple premise, but she takes you through all the different steps you can take - all the while remembering, do what brings you joy. In a way it’s sort of a book on mindfulness too, tuning into how your environment and your home makes you feel. Really good listen! For who likes simplicity this book is the best in the field. I was not in the mood to start it in few occasions but once started had problem stopping it. Well done to the author. Even though I had already read the first book this book brought it home and listening to it meant more too. The PDFs are fantastic. Great book. Helps you to look at your home and belongings in a different light. listened to this whilst packing up my home ready to move. I have reduced the volume of things I am taking and it was easy! Loved the principals of this book and have started implementing them in my home. I now understand the difference between clean and tidy. Clean is related to the environment and happens externally to us. Eg dust and dirt. Tidy is directly related to us and the choices we make.. If there are excess objects in our home they got there because of us. Some objects we find hard to part with yet we don't use them or need them. This book helps with the letting go process in a way I would never have considered. Ie thank the item for the joy or pleasure it gave and let it go peacefully. I am not a person who regards books and objects as having feelings (as this book implies) but I do know I have feelings towards objects, and this letting go process does have merit. 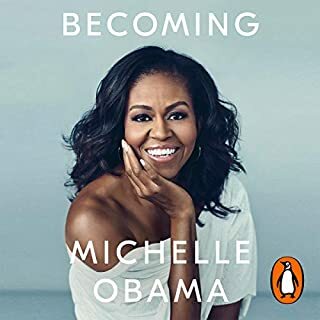 I've listened to the audio of this book entirely, and now have bought the book. I look forward to systemically working through each area in order as Marie wisely suggests. Clothes first them books, followed by papers, miscellaneous and finally sentimental. It is a progressive process from the easy to the hard so we learn to hone our skills of finding joy before we get to the hard stuff. I definitely recommend this book. "Spark Joy" by Marie Kondo has some good ideas, and it's short. I like the section on kitchens. It also has some bad ideas: sentimentality and Shinto. So, if you're dead inside, hate your family, and don't care to remember anything from your past - skip it, you're already awesome. 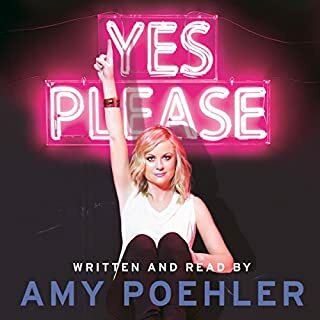 A good second book to the KonMari method. Some extra motivation but not as much of a story line. I have listened to this book on my commute to work and I will re listen to it as I organise my home again. Its the little reminder that you can always make do with less. A very practical book and a great follow-up to the author's first book on the same topic. This book gives detailed instructions and ideas on how to tidy / declutter / minimise. The accompanying PDF is invaluable as you then have visual instructions to accompany the book's text. The narrator has some unusual interpretations of pronunciation - for example, the Japanese word &quot;manga&quot;, which I think is now quite well-known in english-speaking circles, has been pronounced &quot;manya&quot; and makes no sense. While this was a little distracting, it in no way ruined the book for me. I'm very much looking forward to putting these tidying principles into action in my home. Following this system is not just about tidying things, it is all about your mindset and how effective it is. i am so grateful for this book it has actually sparked some joy and alot of desperately needed hope. this is a book that changes lives. 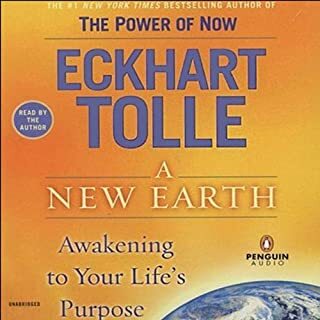 give it a go on audible or listen to it another way, as background if you have doubts, i suspwc3you will pick up on thi gs that perk your intereest and then you will probably have another listen and then, who knows you may soon be living a life beyond your joyous dreams. Don't knock it till you try it. It really does work. thank you for the inspiration. the joy of listening to kon mari is unbelievable. i have learnt so much and happy to live my life with thing sparks joy.